The old vehicle bridge connecting Nixonville, Merthyr Vale with Bridge Street, Aberfan, has been dismantled. It has been replaced by a pedestrian bridge. 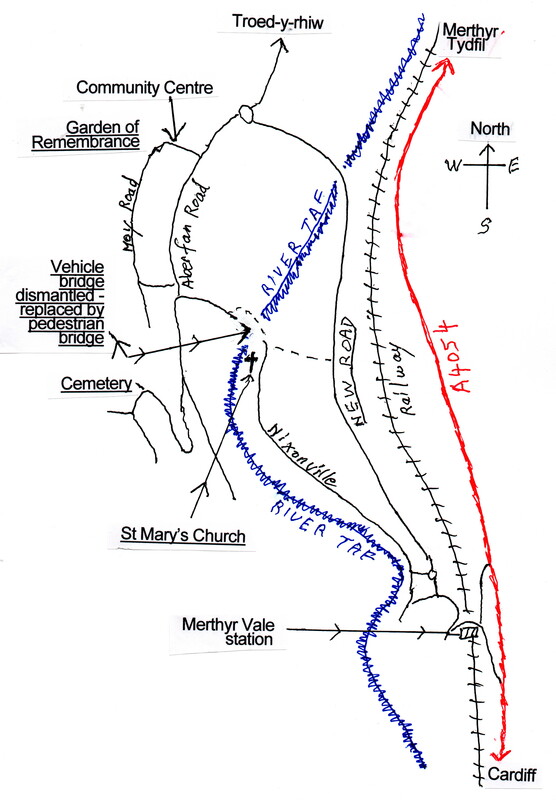 A new road has been built over the colliery site and connects Merthyr Vale station with the northern part of Aberfan. See the map below (not to scale). To print the map shown below, (left) click on the link below. Save the document to your hard drive - show in folder - right click to open it with Microsoft Office Picture Manager, or Windows Photo Viewer.